I had been contemplating my third tattoo for quite a while now. 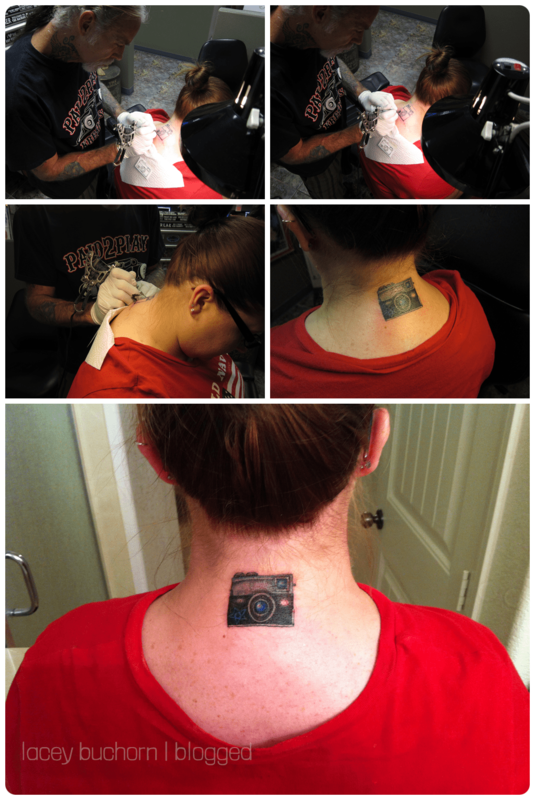 I wanted something to represent my passion for photography. There was not a timeline for it, just a “want”. Well, I’m learning I should never walk into a tattoo shop if I don’t want a tattoo right then. ;-) We went in to get Bryan’s tattoo touched up and I simply asked what my idea would cost. Next thing I know, I am sitting in the chair. LOL! I decided on the back of my neck, so it could be easily covered, yet seen when I want it to be. I have no qualms about ink considering I have 3 tattoos now with plans for a 4th eventually, but I don’t care for in your face ones for my body.